Whenever I trim strawberries, I always end up feeling guilty for binning the ends since you can never be precise enough on how much of the actual fruit you end up cutting off. So a few days ago I finally found a way to use them in a scrumptious way. 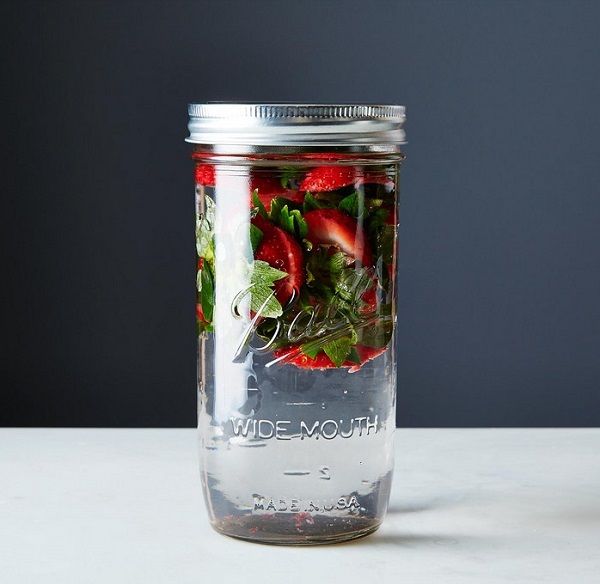 Just take your rinsed strawberry tops and place them into a large jar. Fill it with water and let it sit for an hour or so in your fridge. 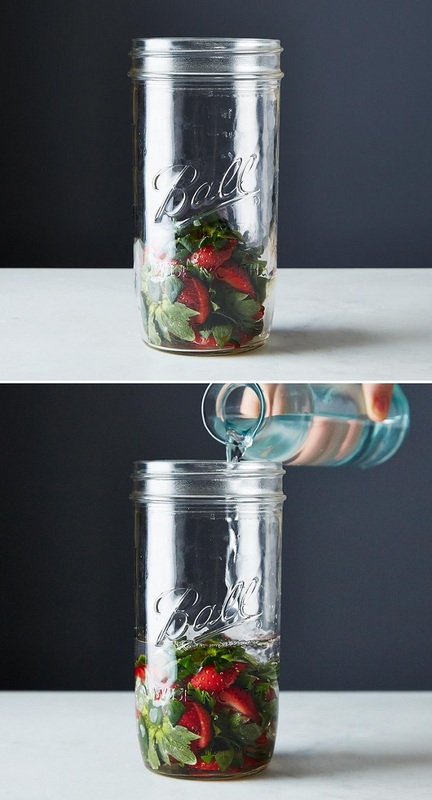 It will create softly infused, fruity water. P.S: And a few other takes on strawberries. I like that a lot and mint-strawberry sounds refreshing. I've had it with mint - the combination is so refreshing! Great idea! It feels so bad to have to throw away food! Muah!